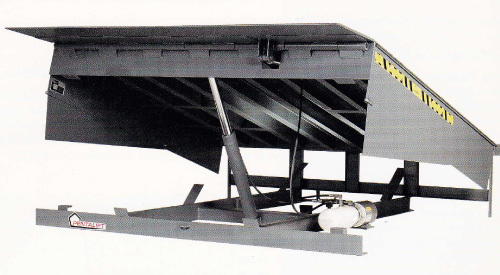 A dock leveler is a manually, hydraulically, or electrically operated plate, located at the dock entrance, that can be raised and lowered to accommodate varying trailer floor heights. See also loading dock equipment. Dock levelers can also enhance safety and productivity on the dock through a variety of design features. Different types of levelers may be used, depending on the industry served and/or tasks required. Click here to go back to products page.